Later in the afternoon Fegentri world champion Steven Crawford made his regular trip over from Ireland worthwhile by winning the bumper for his trainer brother with FINE RIGHTLY. 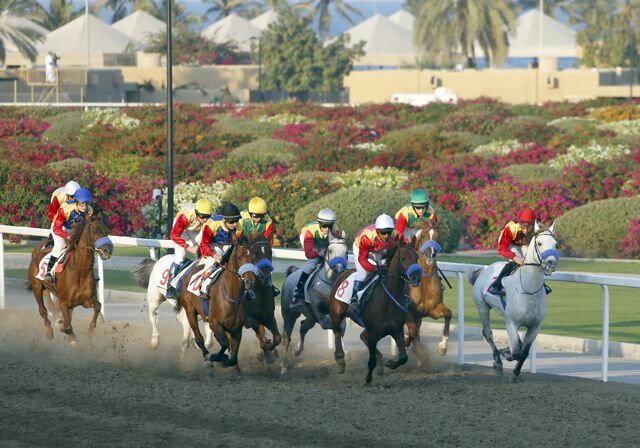 Many congratulations to all winning connections. 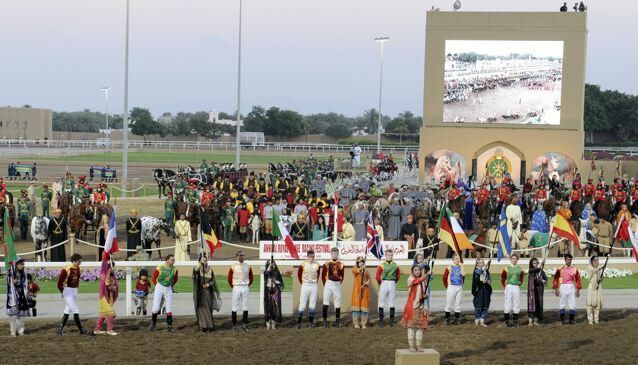 The New Year saw the start of the Fegentri season with gentlemen riders invited to ride in Oman on 1st January on His Majesty Sultan Qaboos Bin Said’s Majesties Day, Oman’s most prestigious racing day of the year. Two invitations were received for gentlemen jockeys and Fegentri representative 2013 Freddie Mitchell was joined by Chris Martin. Unfortunately Freddie’s horse reared and refused to enter the stalls, but Chris had a great ride and was only just beaten for 3rd place. The lads can be seen in the above photo on the left of the Union Jack and enjoyed an incredible trip. 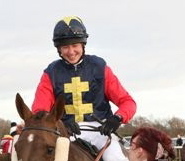 Congratulations to Harriet Bethell who rode a beautifully timed race today at Wolverhampton, holding up her mount in the rear until half a mile from home. Asked to quicken, STORMY MORNING responded immediately to make smooth progress and win by a length for trainer Phil Kirby. 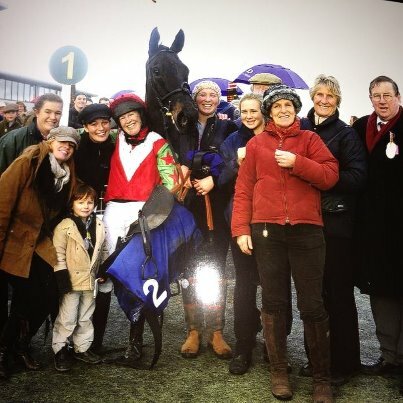 Clare, a chartered accountant and past Finance Director of The British Racing School, won The People’s Race at Aintree in 2008 which kick-started her amateur career and since then she has gone on to enjoy success point-to-pointing and also won the Newmarket Town Plate in 2011. Many congratulations Clare! 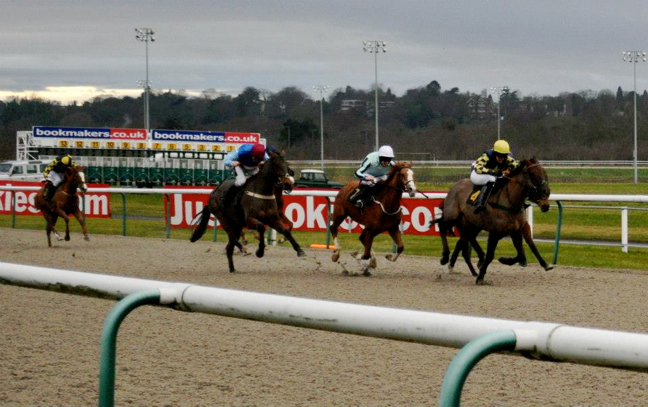 Lucy Gardner starts the New Year with a double at Exeter! 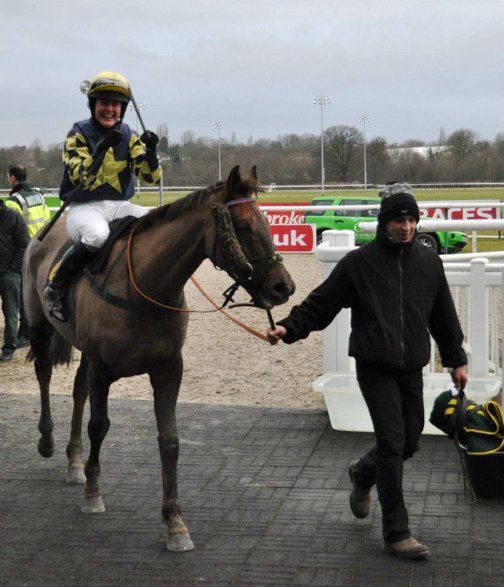 Many congratulations to Lucy Gardner whose New Year could not have started better, riding a double for her trainer mother Susan at their local track Exeter which was appreciated by an applauding record crowd. Very many congratulations to winning connections on such a great start to the New Year which now gives Lucy a total of 6 wins this season and takes her into the lead for the ladies jump championship, one ahead of current overall reigning amateur jumps champion Emma Sayer.